Panasonic launched a new handset for the Indian market. The new handset is dubbed as Eluga L 4G and is the first 4G supported phone in India from Panasonic. The handset will soon be available via online and offline stores. 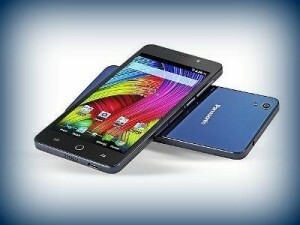 Mumbai: Panasonic Eluga L 4G comes with 5 inch display and the resolution is 720 x 1280 pixels. Thickness of the handset is 6.1 mm. It is powered by Qualcomm Snapdragon 410 processor whose clock speed is 1.2 GHz. The processor is couple with 1 GB RAM and the internal storage is 8 GB. Memory can be expanded up to 32 GB via micro SD. The handset comes equipped with 8 megapixel primary camera and 5 megapixel front facing camera. The handset runs on Android 4.4 Kitkat operating system. Connectivity features include WiFi, GPS and Bluetooth. It also supports 4G LTE. There is no word on battery capacity of Eluga L 4G. “Panasonic India has now signalled a big leap in its product portfolio by bringing better specifications and features in the newly launched Eluga L which not only caters to the fast developing technological needs in the market but is also priced reasonably. With the company’s recent success in the smartphones category and the mobility landscape rapidly evolving today, the new device will surely match the needs of our fast evolving consumers in the country,” said Manish Sharma, MD of Panasonic in India. This entry was posted in Launches, Tech on May 4, 2015 by Rakesh.